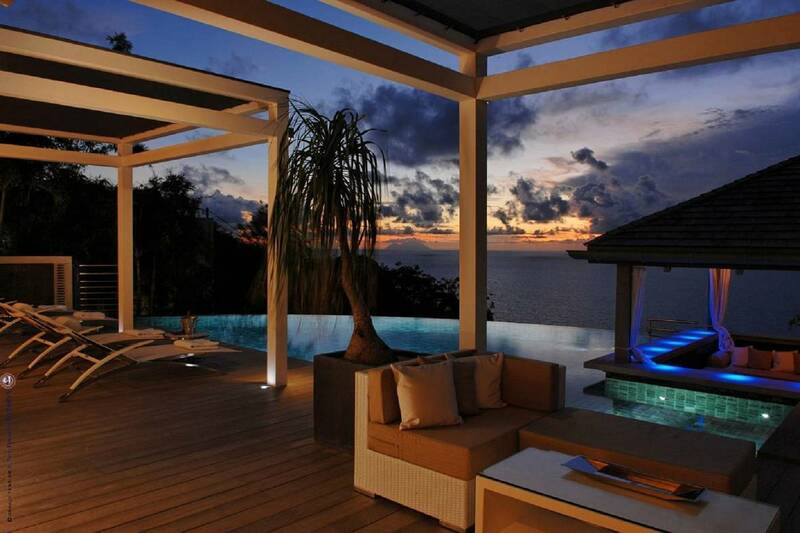 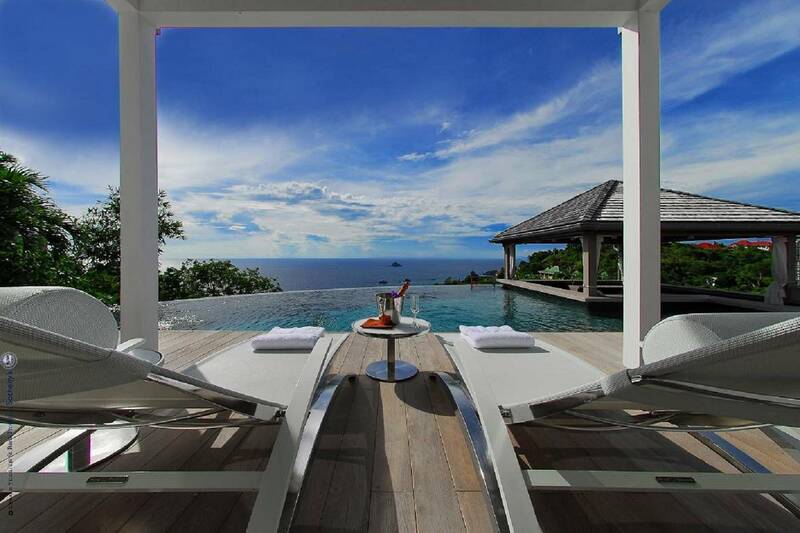 Dream About: Owning one of St. Barth’s finest properties – space, luxury, privacy. 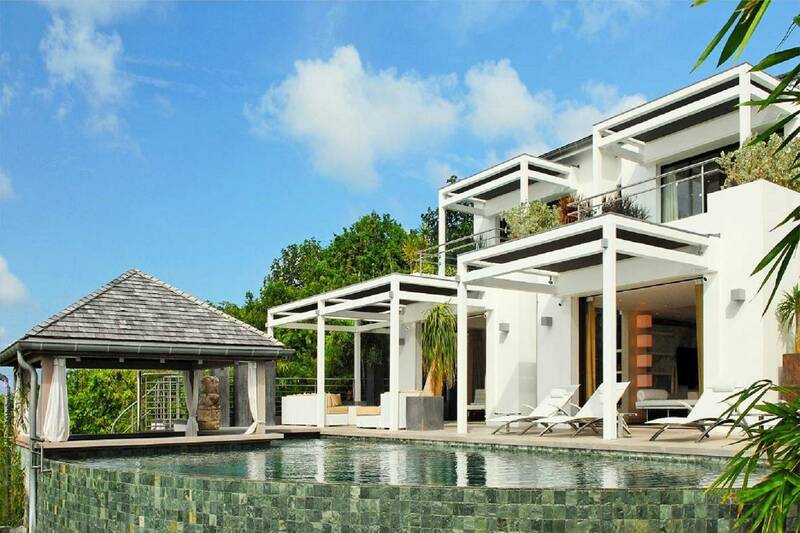 Contemporary and bi-level, this luxurious three bedroom villa in Lurin is one of St. Barth’s premier properties. 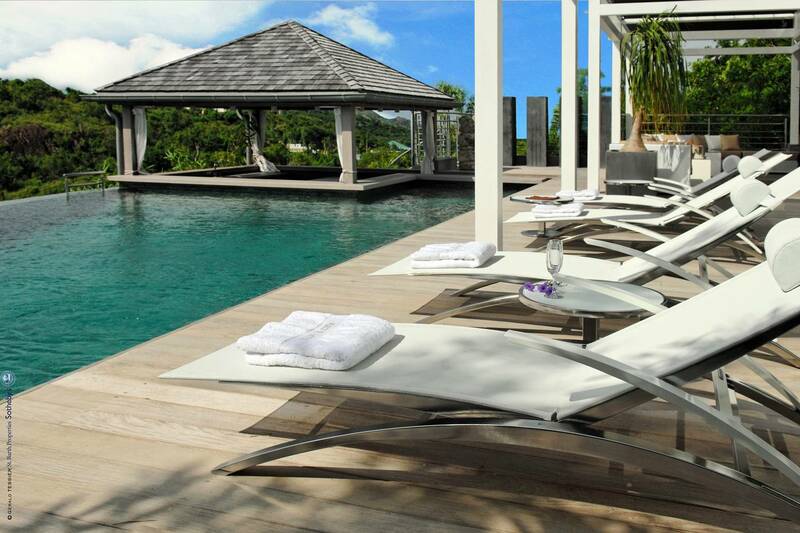 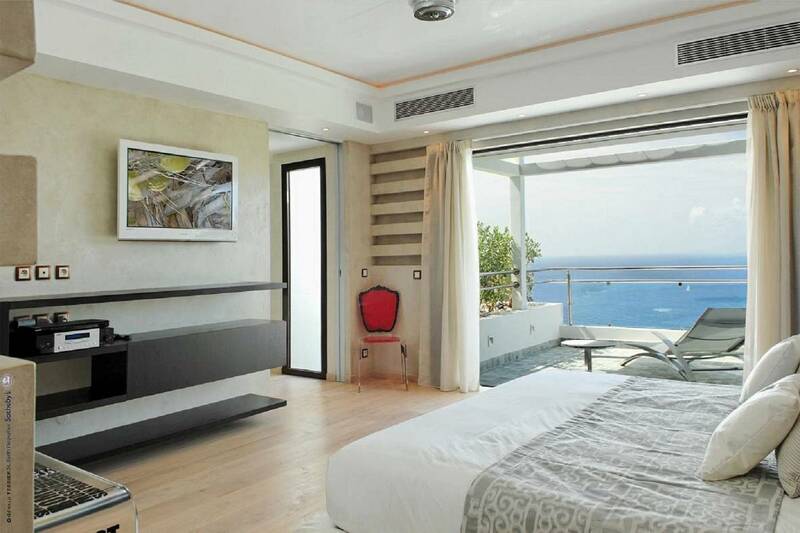 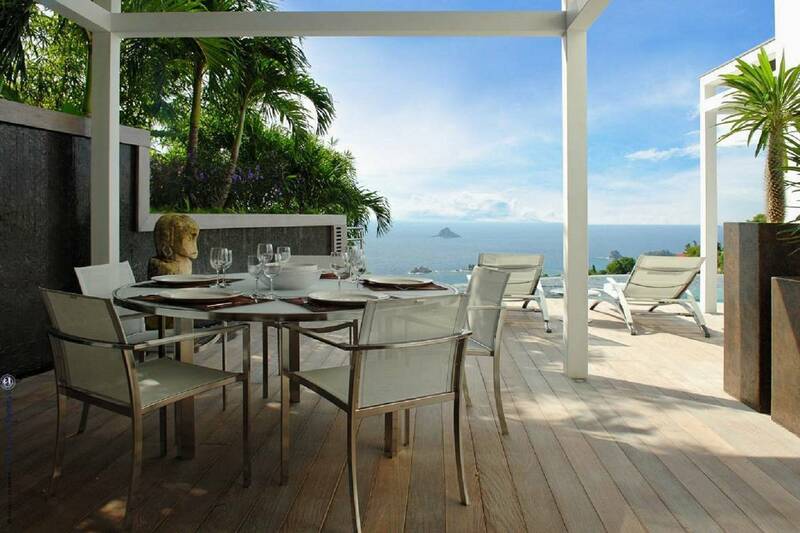 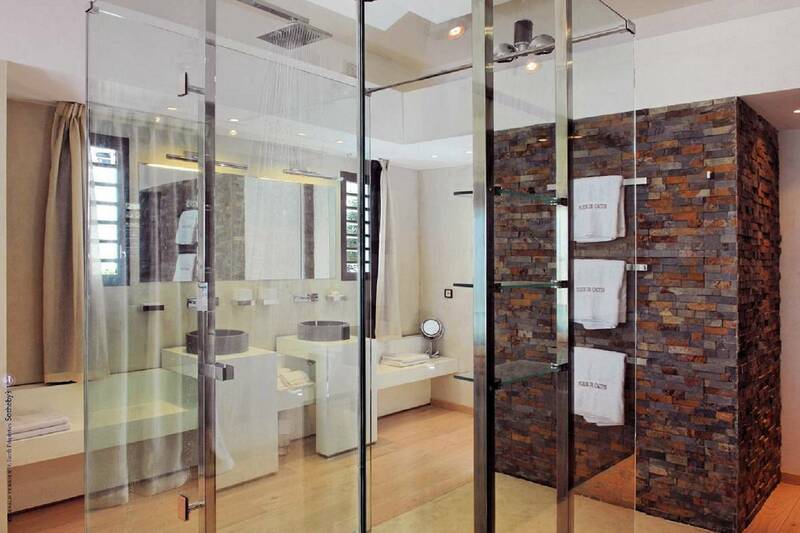 It offers privacy, a panoramic seascape, proximity to Gustavia Harbor, and glorious sunsets. 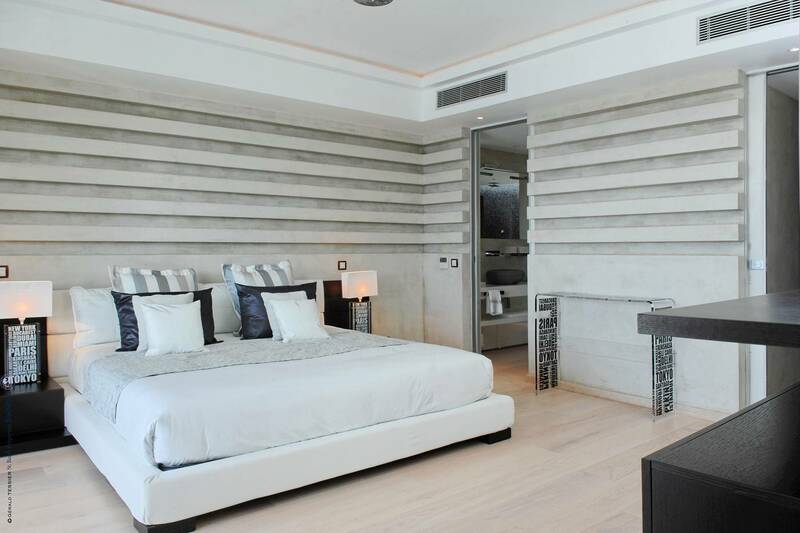 Two master en-suite bedrooms are on the upper level, and one is lower level opening via sliders to the pool deck. 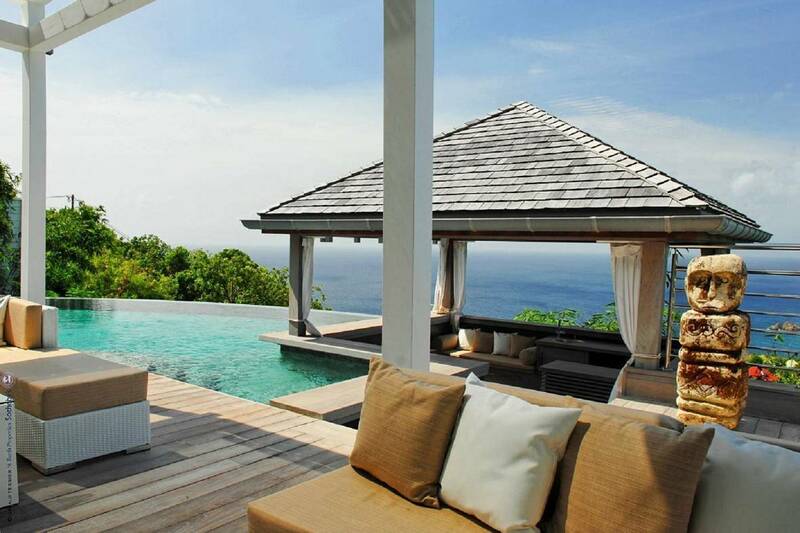 A sumptuous infinity pool—complete with a swim-up bar —is the focal point of the expansive outdoor living space that includes a gazebo. 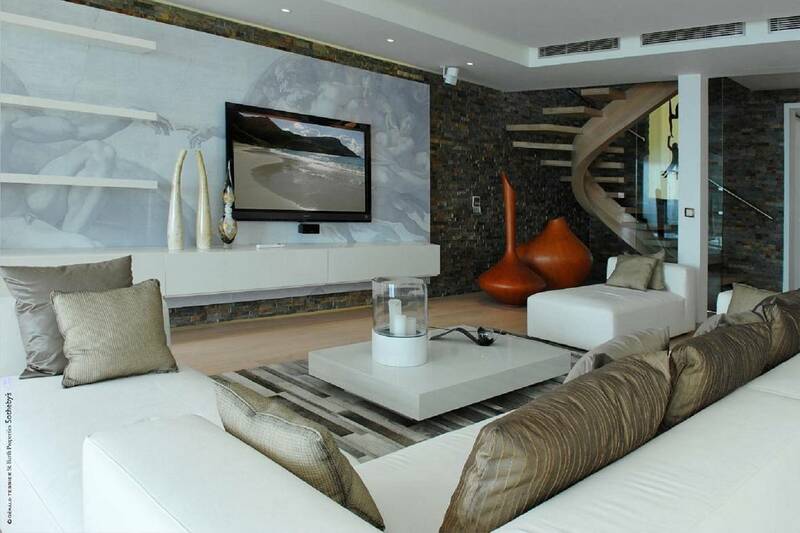 A main-level open floor plan encompasses a living room, a home cinema, and a dining room. 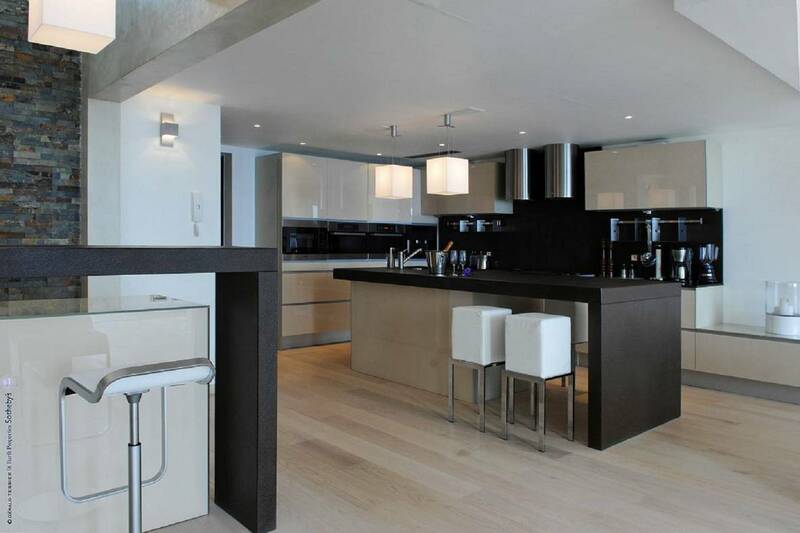 The Iron Chef-worthy has a central island and a pantry. 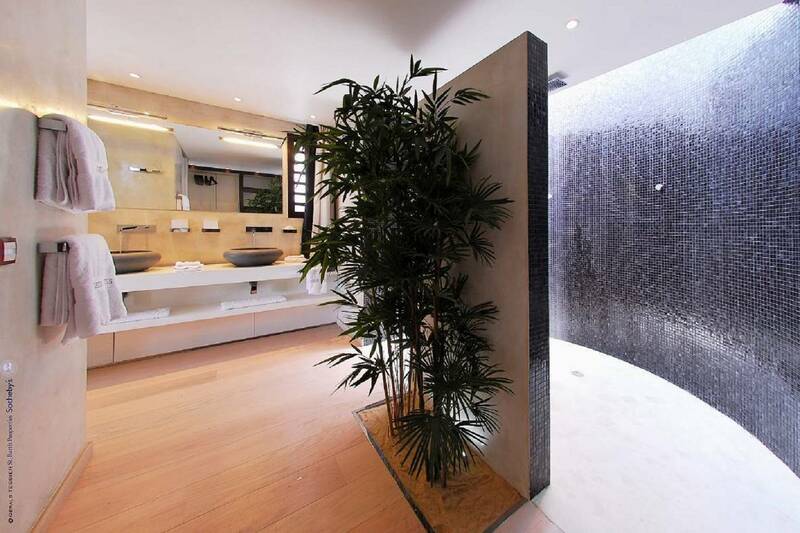 A guest bath is conveniently located nearby. 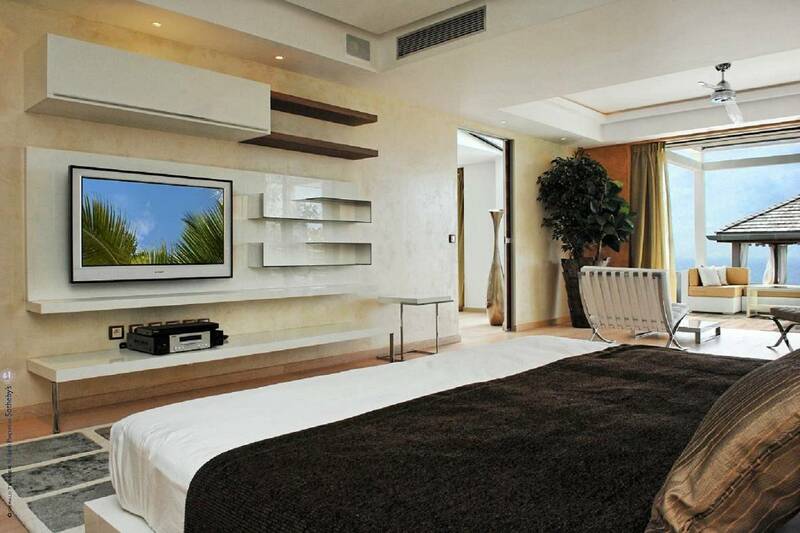 Air conditioned throughout, whirling ceiling fans provide that romantic touch of tropical ambiance. 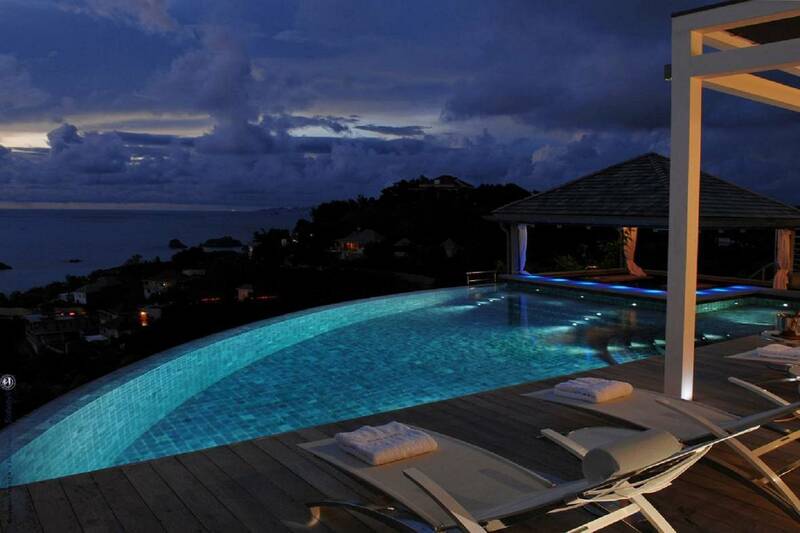 The heated infinity pool with its swim-up bar. 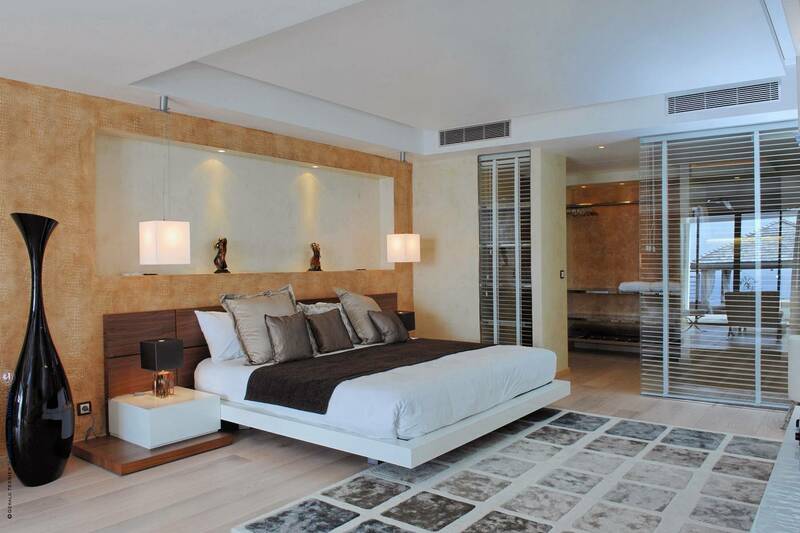 The main, pool level includes living and dining areas, kitchen, home cinema and a master suite. 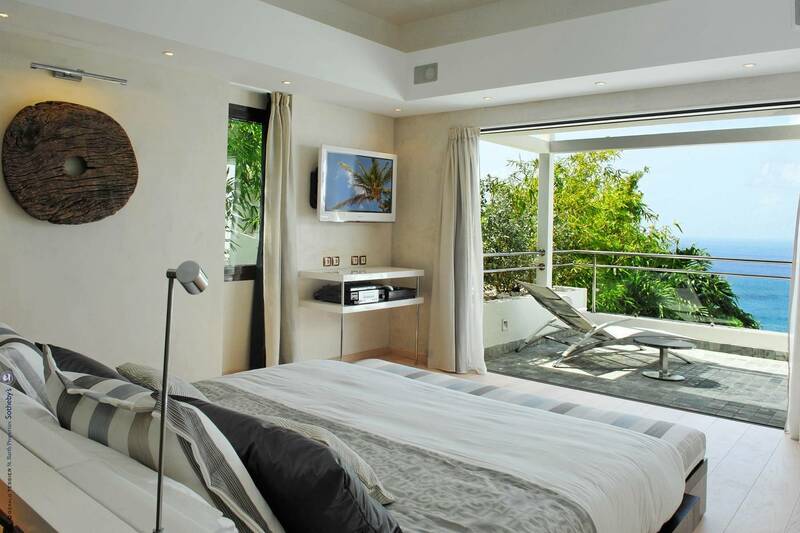 Two additional master suites are up one level.